Taking into consideration all the visitbale places within the broader area of Edessa Waterfalls, we plan and propose an attractive and at the same time realistic guided tour scenario. 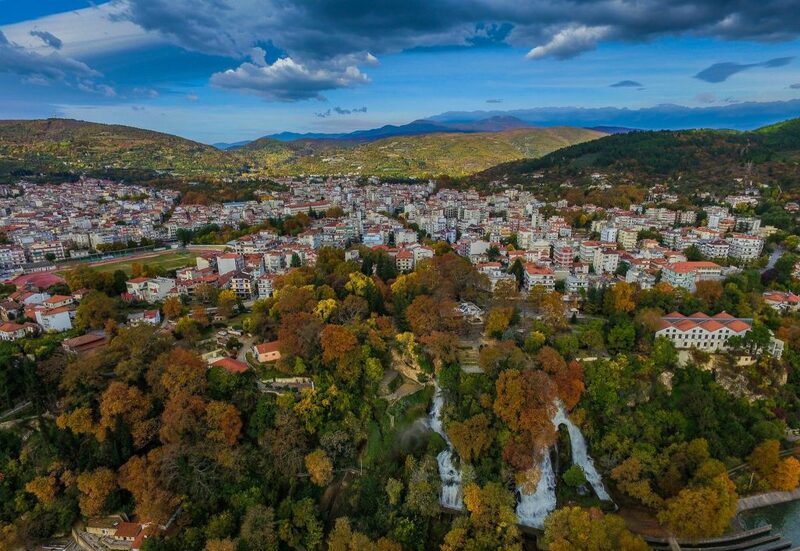 More specifically, there are four (4) visitable ticketed sites under the supervision of the Municipal Welfare Enterprise of Edessa Municipality and several other places of interest – among them the Waterfalls – with free access. The ticketed sites are: The Mill of Flavours, the Herpetarium-Aquarium, the Mill of the Five Senses and the Folklore Museum, which operate supervised by the Municipal Welfare Enterprise of Edessa Municipality. The aforementioned sites combined with several other places of interest can become a quite pleasant and informative walking tour. All these visitable sites and places constitute an attractive tourist package, which provides the visitors information in vivid and pleasant ways. This information refer not only to Edessa and the local history and cultural heritage, but also to the natural environment of the broader region, the vernacular architecture, the pre-industrial and industrial tradition, the gastronomy, the ancient Greek culture the Macedonian Kings etc. In case you need, we can provide you more details regarding the guided-tour scenario, which will be presented to the visitors by trained tourist escorts.